Dale Earnhardt Jr. will find himself in a very familiar place at the 2019 Daytona 500: at the front of the pack. 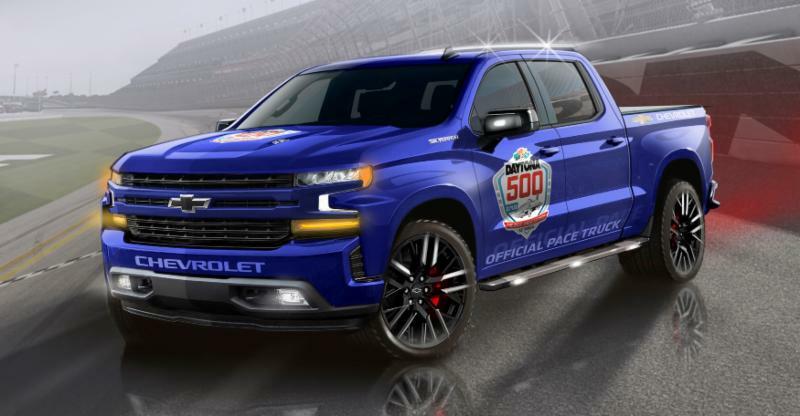 Earnhardt Jr., a two-time Daytona 500 winner, will drive the 2019 Chevrolet Silverado pace truck to lead the field to green for the 61st running of The Great American Race. This is the first time the Daytona 500 will be paced by a pickup truck. “I’ve had a lot of fun and a lot of success at Daytona over the years, and now I can’t wait to get out on that track in a Silverado,” said Earnhardt Jr. “Away from the track I’ve driven Chevy trucks all my life, and I’m excited to have this unique experience of pacing the Daytona 500 with the Silverado.” In addition to winning The Great American Race in 2004 and 2014, Earnhardt Jr. was a two-time winner of the July race at Daytona, overall scoring four wins, 13 top 5 finishes and 19 top 10s in 36 NASCAR Cup Series career starts at Daytona International Speedway. Earnhardt Jr. was voted the sport’s Most Popular Driver for 15 consecutive years. “Dale Earnhardt Jr. was the perfect choice to pace the race because of his enthusiasm for the sport, his long history with Chevrolet and his love of trucks,” said Jim Campbell, Chevrolet U.S. vice president of Performance Vehicles and Motorsports. “It’ll be exciting to have Dale lead the field to green in the strongest, most advanced Silverado ever.” The Silverado pace truck is powered by a production 6.2L V-8 engine paired with a 10-speed automatic transmission. It delivers 420 hp and 460 lb-ft of torque. Chevrolet has paced the Daytona 500 12 times, seven with Camaro and five with Corvette.